The objectives of setting performance goals are to establish a list of criteria that you can be evaluated upon at the end of the year. As a newbie pursuing career success, this is important so you know the criteria you need to exceed. Then you can set out a plan to exceed them. Setting performance goals is a two-way street. You and your manager will need to agree on your performance goals for the period evaluated. This is usually a year. This becomes the target for you to strive to achieve. You know specifically what are the performance goals and what you need to do. Do you know what the company expects of a person in your position? This is one reason why setting performance goals is important. You know exactly what the company wants you to do at that particular period, for someone holding your designation. What are the deliverables from your end? This ensures that you do the basics that you need to and also it becomes a default benchmark for work that is considered initiatives from your end. You do not want to do a lot of initiatives whereas your actual deliverables are not completed. This way you do not waste your time and effort. Once you and your manager set performance goals to be met, both have an understanding of each others roles and responsibility. Trust can be better established when you need not guess what you are accountable for. What are you going to be appraised on if there are no benchmarks set upfront? Setting performance goals is important in that sense. It is used as a standard which you will be measured on at the end of the evaluation period. When setting performance goals with your manager, you will need to determine if you have the necessary skills and knowledge to deliver the goals. If you lack certain skills, then this is a good time to jointly work with your manager on your training needs. Your skills set must match the responsibilities. Say one day your manager raises a concern about your performance, how do you know if your manager is biased and just picking on you? The performance goals you have set can then come in handy. It can act as a reference point of that particular concern and even act as a feedback for you before evaluation time. The idea of setting performance goals is to ensure that you know the exact set of standards that you are required to meet. That way you focus your time and energy delivering what is expected. You will also know what is considered an initiative, which can be seen positively by the management. Remember, setting performance goals is a two way street. 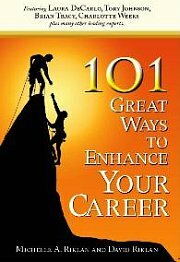 As a newbie pursuing career success it is important for you to set aside a time to discuss this with your manager. What are the importance of goals and how it can keep you centered.